Ezechiel 25:17 The path of the righteous man is beset on all sides by the inequities of the selfish and the tyranny of evil men. 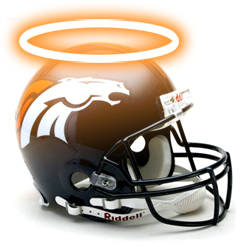 Blessed is he (The Denver Broncos) who, in the name of charity and good will, shepherds the weak through the valley of the darkness. For he is truly his brother's keeper and the finder of lost children. And I will strike down upon thee with great vengeance and furious anger those (The San Diego Chargers) who attempt to poison and destroy my brothers. And you will know my name the Lord when I lay my vengeance upon thee. 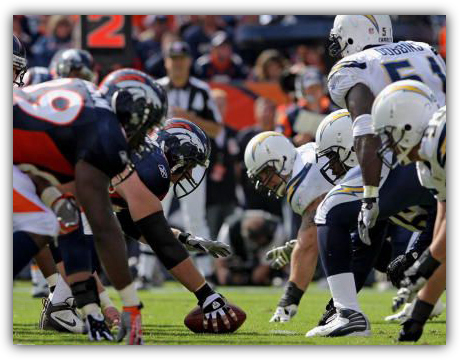 Posted on October 19, 2009 by Justice Mitchell and filed under Soapbox, Sports and tagged Football NFL denver broncos san diego chargers.